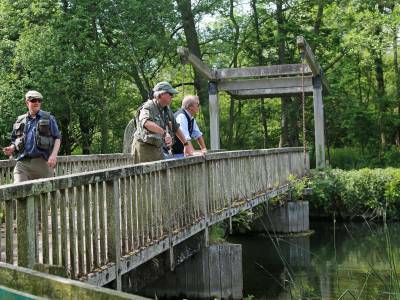 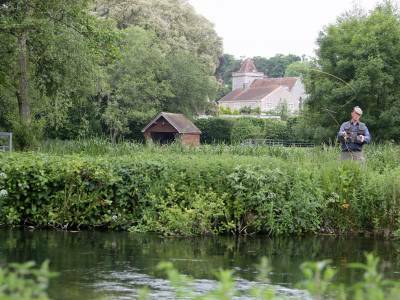 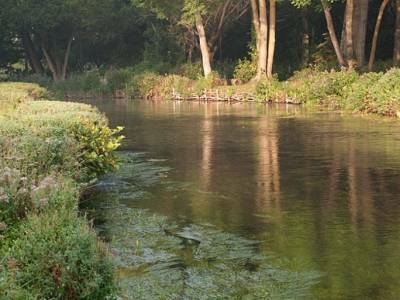 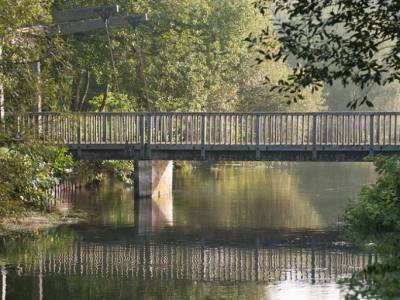 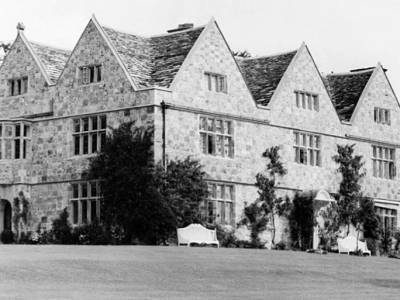 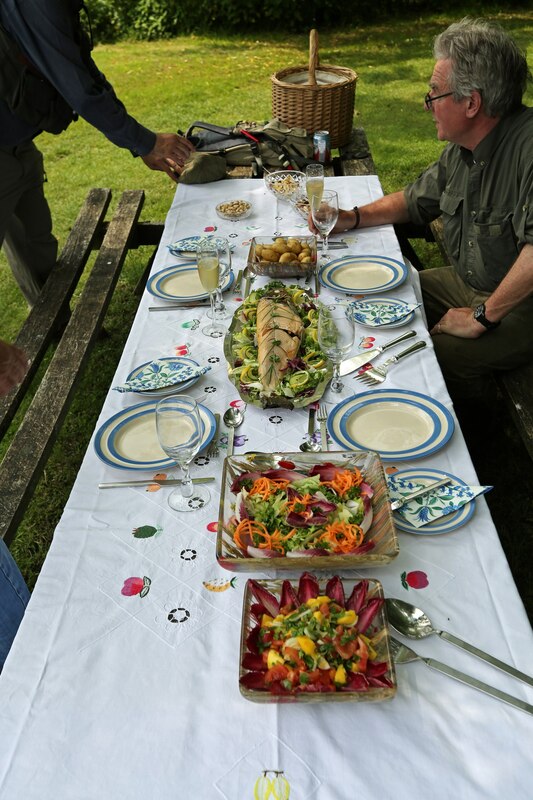 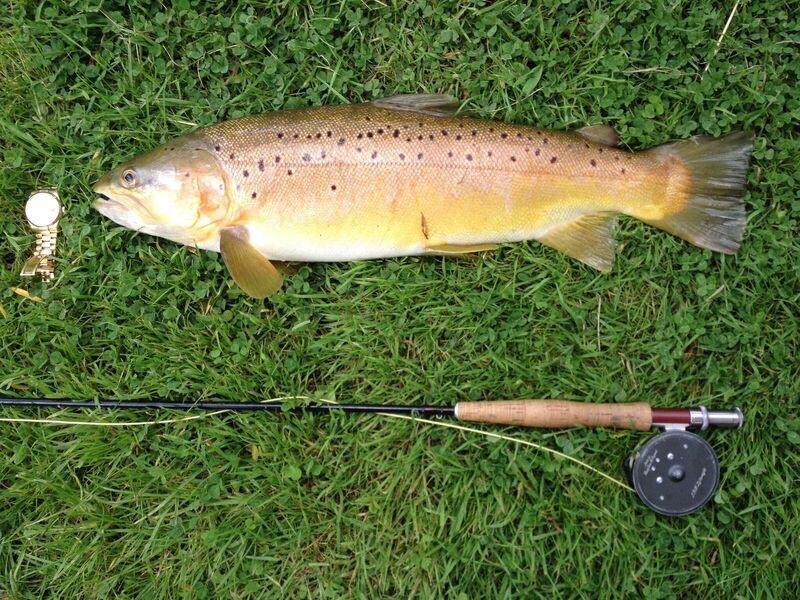 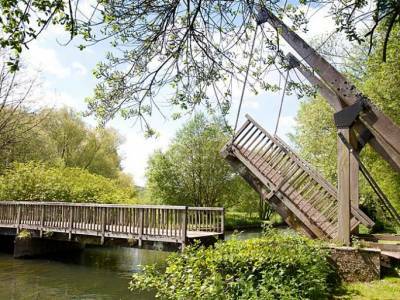 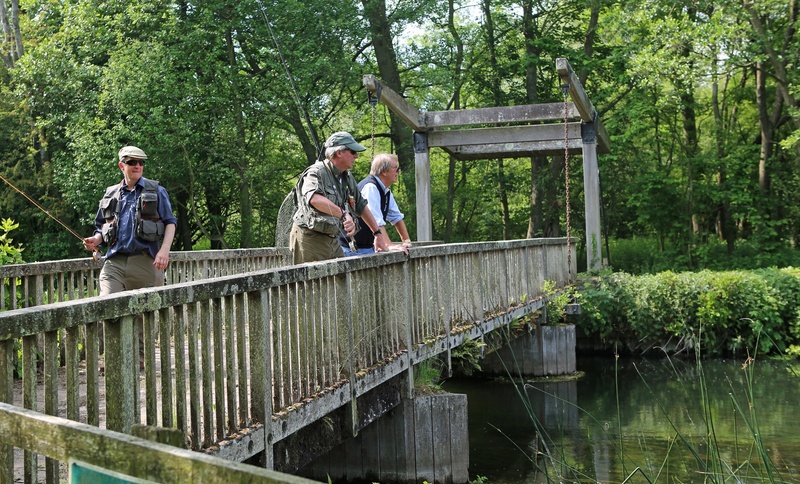 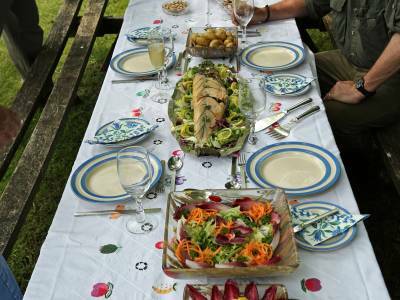 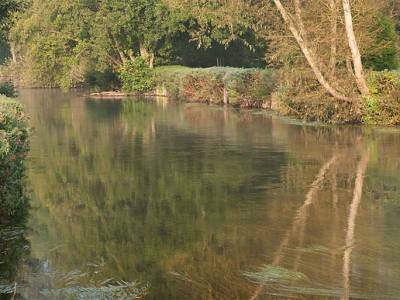 This private estate fishery comprises of approximately 1 mile of stunning double bank fishing on the upper River Avon. 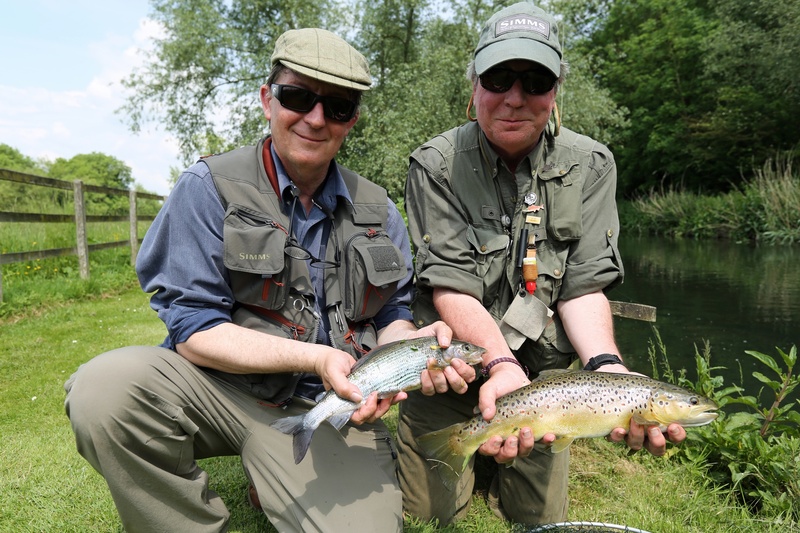 Mayfly here from mid May lasting often to the end of July! 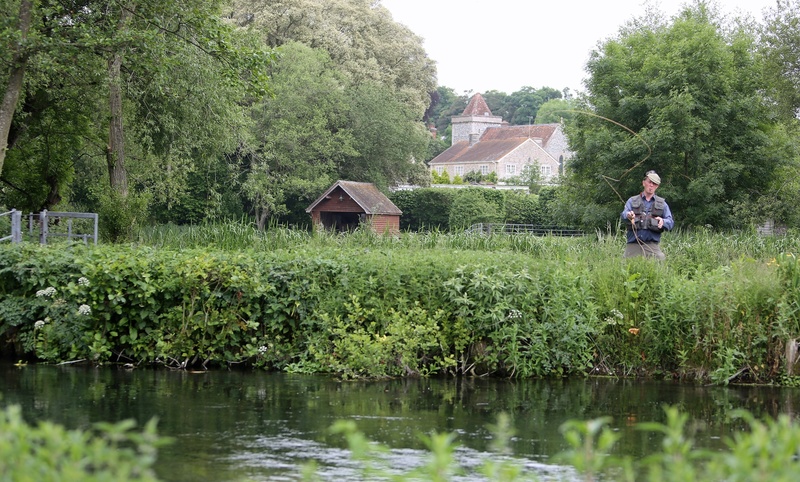 The river is wide and varied for this part of the upper Avon and is wonderfully looked after. 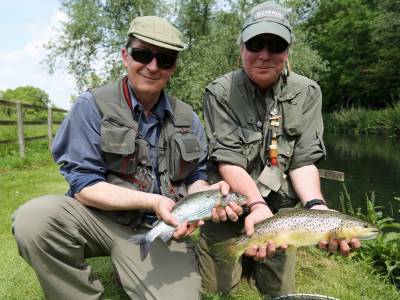 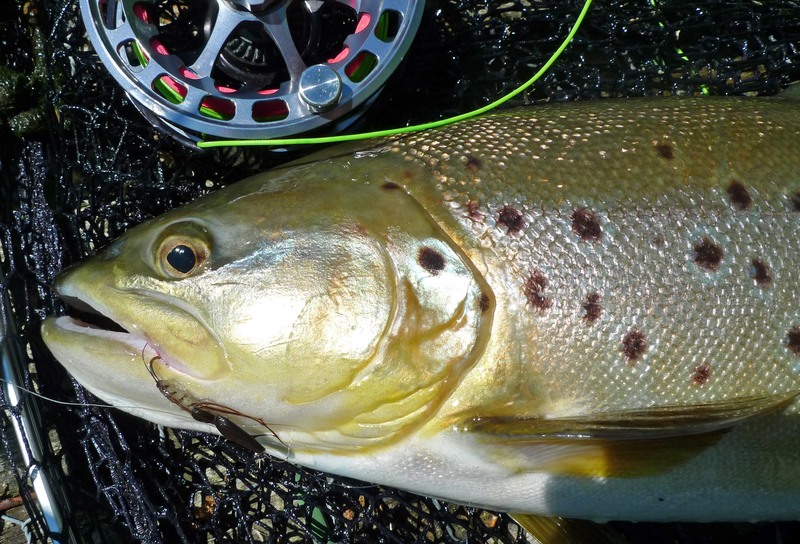 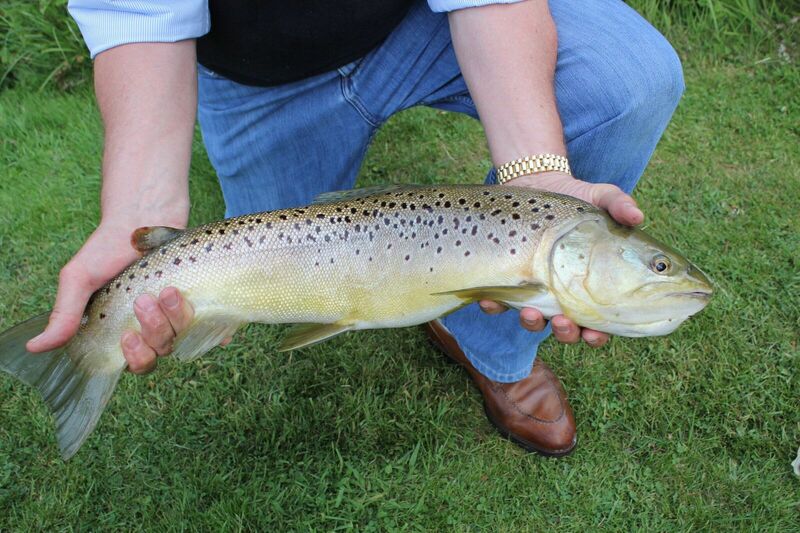 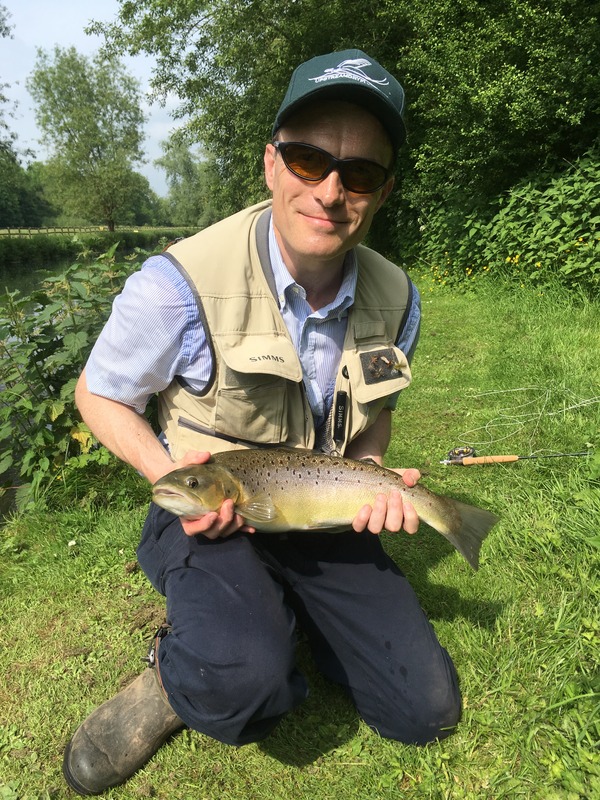 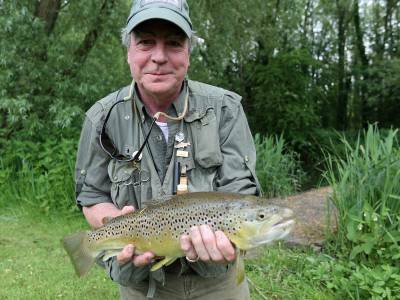 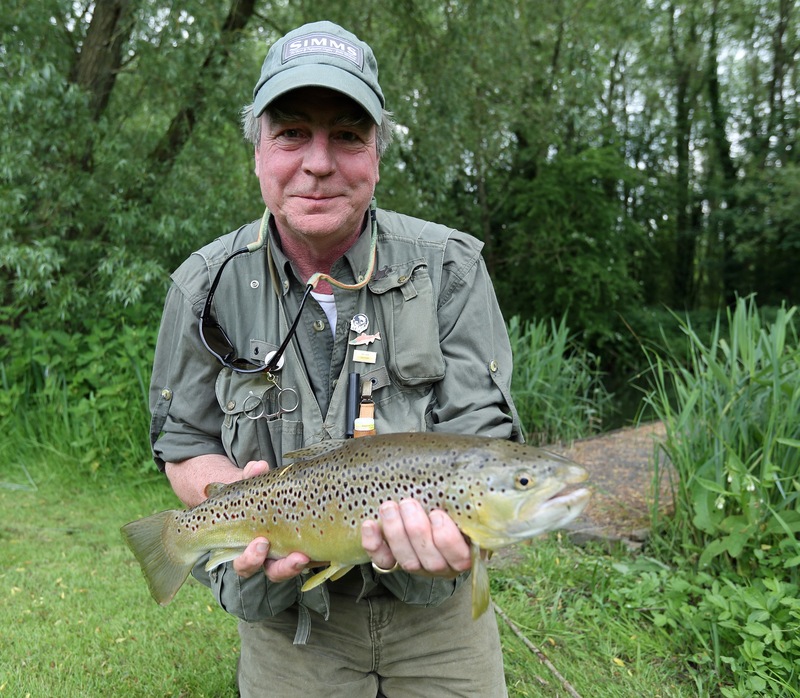 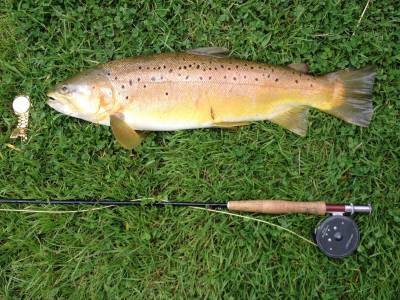 Lots of brown trout, from small wild fish to monsters in double figures for which Wilsford is famed. 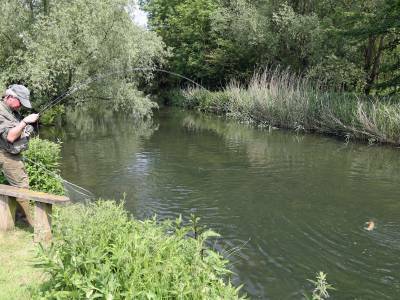 Superb facilities that include the best fishing cabin in Wessex with satellite TV, Fully stocked refrigerator, drinks cabinet, coffee machine, fridge, bbq, loo etc. 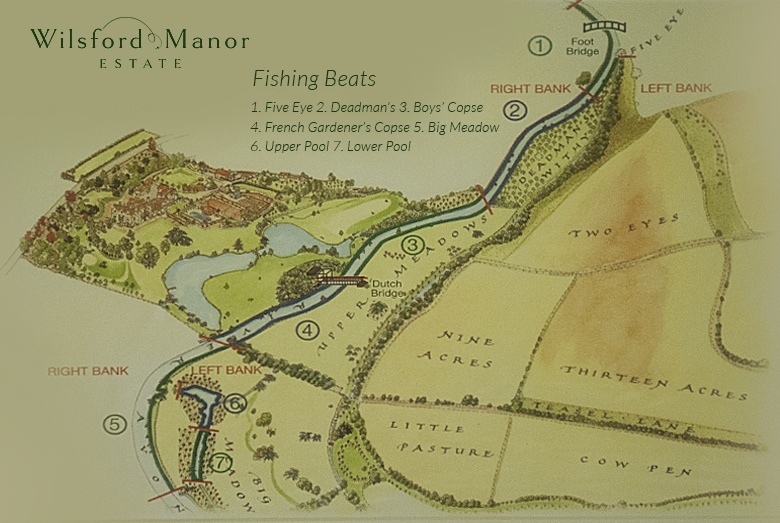 Fishing from 15th April to 30th September (9am to 7pm). 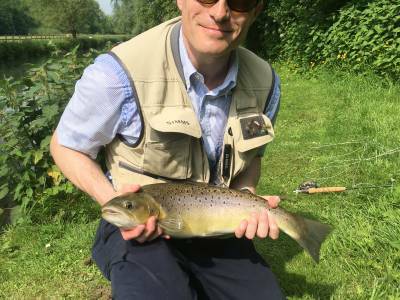 The river is normally stocked, although not necessarily every year, with fish of around 2lbs, which grow quickly in these food-rich waters. 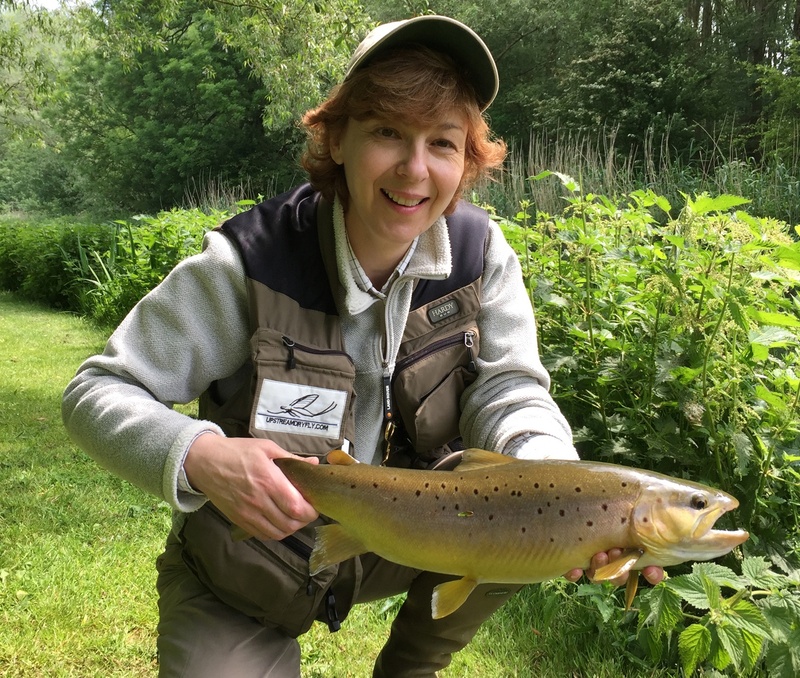 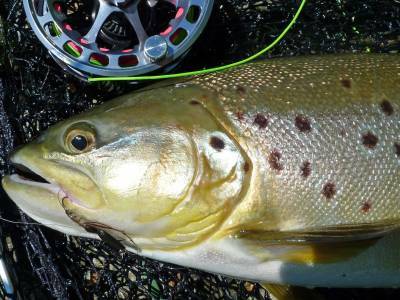 One of the secrets is that all fish caught of 19″ and over are returned to the river, making it easy to spot fish of 5lbs or 6lbs or more, and to catch shadowy glimpses of some real monsters (the best brown trout caught, and returned, on this stretch was over 17lbs). 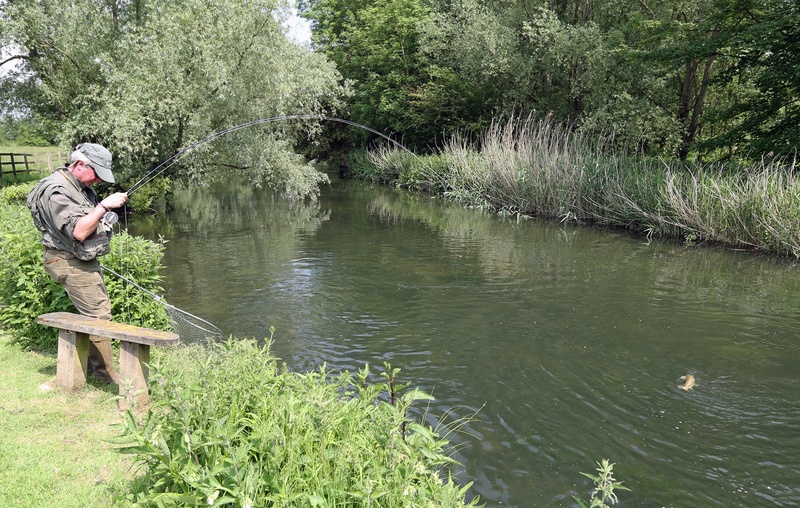 All rods are entitled to keep 2 fish per day measuring 19 inches or less.